Summer should be the time of the year when your thoughts are focused on relaxation and enjoying the outdoor lifestyle. The trouble is that it’s also a time when the kids are off school, families are visiting each other, and there are way more people walking across your carpets. As a result, they’re likely to start showing signs of wear and tear, and also become dirty or stained unless you put in place a few preventative measures. 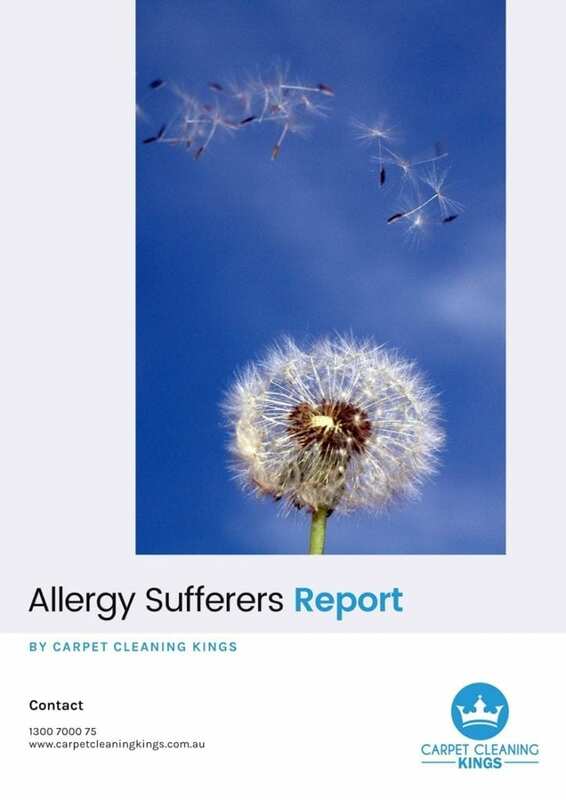 Consequently, we’ve put together 4 tips to help minimise damage to your carpets allowing you to get on with enjoying the summer. No shoe policy – There’s no getting away from the fact that the bottom of your shoes is the main culprit for traipsing all manner of dirt and dust onto your carpets. An easy way to keep your carpets cleaner for longer is to ask family members and visitors to remove their shoes before entering your home. 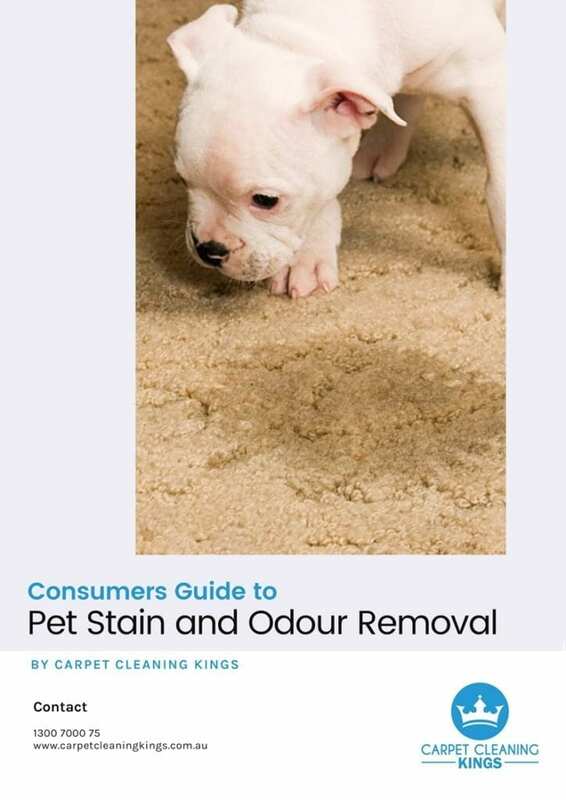 This simple action will drastically reduce the amount of grass, moisture, grime and dirt that gets trapped in carpet fibres. Regular vacuuming – When used on a regular basis your vacuum cleaner will do a great job of keeping your carpets looking pristine. It does need to be a thorough vacuum, however, going from one direction to the other, and it needs to be done at least once a week, if not more regularly. 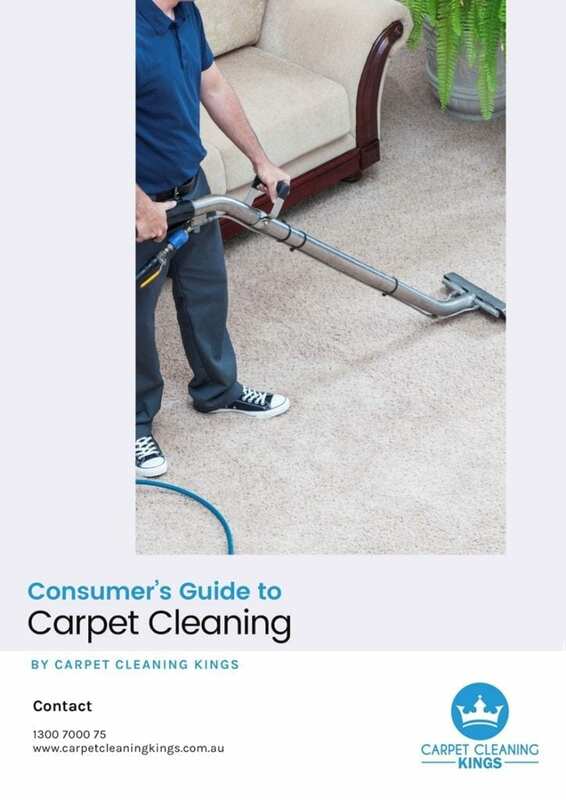 Another tip is to sprinkle bicarbonate of soda over your carpet before vacuuming, as this helps to remove any odours, leaving it smelling clean and fresh. Use area mats and runners – Summer is a time for BBQ’s, deck parties, and gatherings in the porch. As such, it helps to place rugs and runners in those areas of high traffic to lessen wear and tear on your carpets. 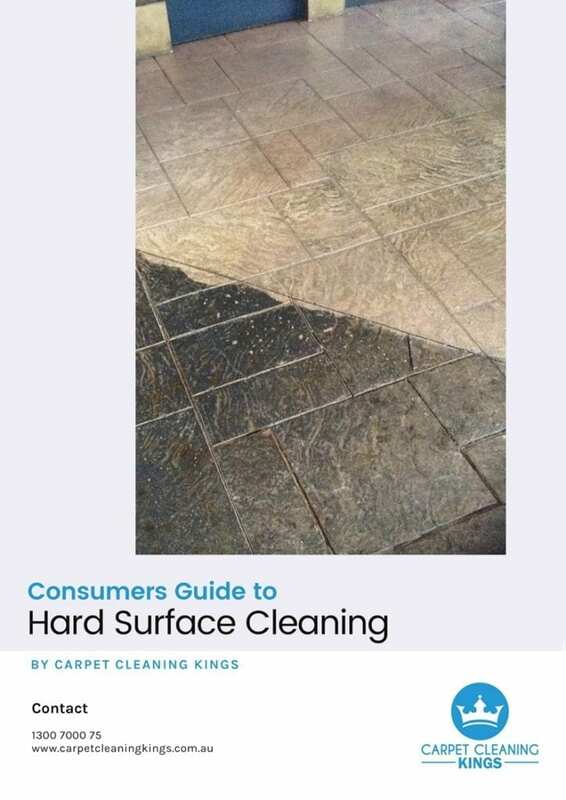 A course doormat at the entrance to your front door will encourage guests to wipe their feet before entering your home removing dirt from the bottom of their shoes. If you invest in a waterproof doormat, then it reduces the chance of your carpets getting wet too. Call out the professionals – Scheduling an annual clean of your carpets (or six monthly clean depending on the volume of foot traffic) by a professional carpet cleaning company not only help keep your carpets looking clean and fresh, but it also extends their lifespan. In addition, remember to book a spot treatment before any stains have the chance to set in, otherwise, it may be difficult to remove stubborn stains completely. Put in place some of these tips and you can enjoy the rest of the summer without worrying about your carpets getting dirty. 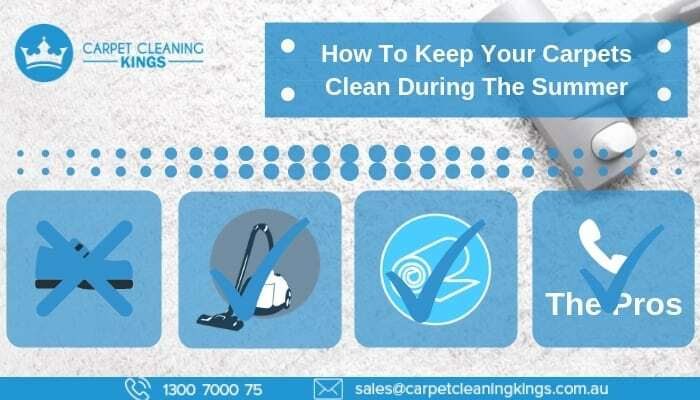 At Carpet Cleaning Kings we’ve got many years of experience in the industry and know just how to clean your carpets to get them looking their best again. We use top of the range equipment and eco friendly cleaning solvents and detergents wherever possible. What’s more we promise total customer satisfaction or your money back. You can’t get fairer than that. 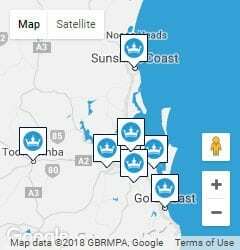 Give us a call to request a free quote or make a booking on 1300 7000 75.